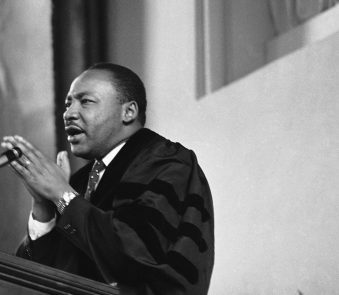 In the lead up to the 50th anniversary of King’s death, WABE has put together a list of 10 books about the civil rights movement centered around Atlanta. Since Martin Luther King Jr. was born in Atlanta 89 years ago, Atlanta has been a central city for the King family and the civil rights movement. In his early years, King ingrained himself in the fabric of the city, from attending historic Booker T. Washington High School to running a paper route for the Atlanta Journal-Constitution. Winner of the Bancroft prize in 2012, “Courage to Dissent” follows the African American protest of the racial status quo in 20th century Atlanta, according to Oxford University Press. “Excellent, exhaustively researched … Courage to Dissent is a fascinating and fresh look at the legal history of the civil rights movement and should become a standard work in the field,” — Journal of Southern History. Tuck’s history of the civil rights movement focuses on two extremes: Atlanta, a bustling city of relative black prosperity, and Albany, a city deeply rooted in the old South. “Beyond Atlanta” uses almost 200 interviews of people on both sides of the Civil Rights Movement and highlights the cost of racial oppression for all Georgians, according to UGA Press. 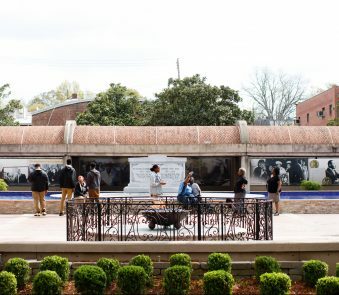 “Sacred Places” includes four tours of important civil rights sites in Atlanta, complete with walking, driving and public transportation information, according to Mercer University Press. A must have for native Atlantans and tourists alike. 4. The Autobiography of Martin Luther King Jr. The story of Martin Luther King Jr. in his own words. In his autobiography, King documents his journey from a mild-mannered child growing up in Atlanta to the most renowned Civil Rights leader of all time, as shared by The King Center. Karcheik Sims-Alvarado is the CEO and founder of Preserve Black Atlanta. “Atlanta and the Civil Rights Movement” follows a new generation of civil rights activists in the late 20th century who brought attention to the safety and educational concerns specific to African American youth, according to Arcadian Publishing. 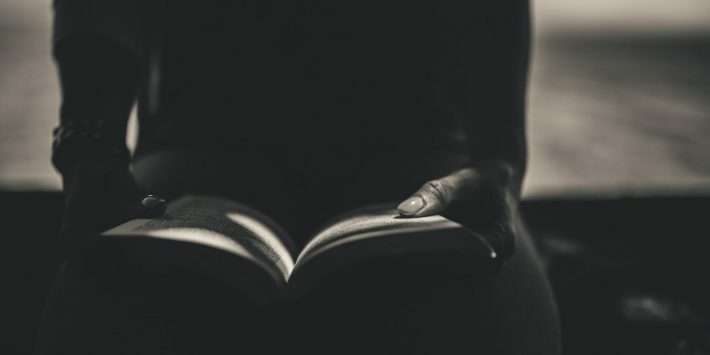 In “Blood at the Root,” National Book Award finalist Phillips uncovers the haunting history of racial cleansing in his hometown, Forsyth, according to publisher W.W. Norton & Company. “Phillips’ book feels timely, unapologetically discussing the way fear, panic, ignorance, and timing may have kept Forsyth County trapped in the past.” — William Lee, The Chicago Tribune. 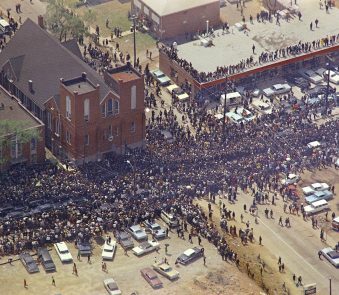 Martin Luther King Jr.’s funeral was a pivotal event in both Atlanta and Civil Rights history. “Burial for a King” draws from copious research and interviews to capture this landmark week from various perspectives: from White House staffers to King’s own family, according to Simon and Schuster. In this illustrated children’s book, the youngest daughter of civil rights leader Andrew Young shares the story her move from New York to Atlanta to protest, and ultimately change, unfair racial laws, according to publisher Penguin Random House. Krull’s short chapter book follows the story of Coretta Scott King, wife of Martin Luther King, Jr. Her distinguished career in activism made her both a Civil Rights leader and a strong female role model, according to publisher Bloomsbury Press. The “I Have a Dream” book and CD set pairs Martin Luther King’s famous speech with a memorable picture book illustrated by Caldecott honor winner Kadir Nelson. Awarded Best of Children’s Books by Publishers Weekly and Amazon Best of the Year in 2012, according to Penguin Random House.